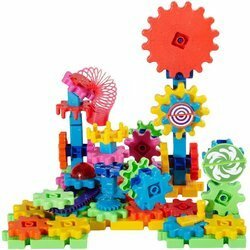 Pioneers in the industry, we offer plastic gears, toy gears, oil pump gears, special custom gears, robotic gears and power tool gear from India. Swadeshi gears manufacture Plastic Gears in small quantities by the machining process. We have various grades of plastic rods to manufacture plastic gears in small quantity as per customer design. Swadeshi is manufacturing Oil Pump Gears for various automotive applications. The material used is generally low to medium carbon steels. These Oil Pump Gears are precisely designed for the transmitting coil to the gearbox. These gears are generally made on CNC turning machines and later on gear shapers or gear hobbing. 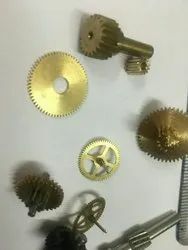 We feel proud to introduce ourselves as an affluent manufacturer and supplier of Special Custom Gears. The provided custom gears are developed with the aid of supreme quality material and leading technology in accordance with predefined industrial norms. Our offered custom gears are extensively demanded its quality & long life. 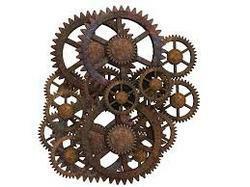 Gears are used to transfer motion. They vary greatly in configuration and are used for many different purposes. The basic premise is that the input gear (driven gear) has a set number of teeth and the output gear has a set number of teeth. 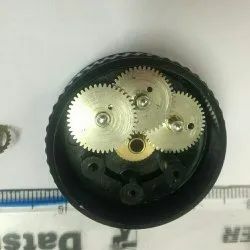 The ratio between these two gears can be used to find the torque and speed of the output gear if the input to the driven gear is known. We are offering SS Power Tool Gear to our clients. 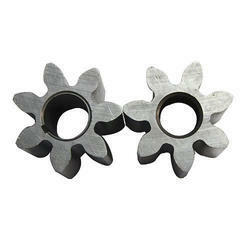 We manufacture Bronze Gun Metal Gears for our clients.